During the 18th and 19th century in Continental Europe, a significant mood developed which was later baptized as “Idealism” or “Classicism” and “Romanticism.” German Idealism was a creative and sometimes speculative philosophical movement that emerged in Germany in the middle of the 18th and early 19th centuries. It was, in part, a reaction against Immanuel Kant’s “Critique of Pure Reason” and was closely linked with both Romanticism and the revolutionary politics of the Enlightenment. The name “German Idealism” stands for the general recognition of a characteristic movement in German philosophy that began during the 1770’s and lasted until the 1850’s. The most famous representatives of this movement are Kant, Fichte, Schelling and Hegel. While there are important differences between these figures, they all share a commitment to idealism. Emanuel Kant’s transcendental idealism was a modest philosophical doctrine about the difference between appearances and things in themselves, which claimed that the objects of human cognition are appearances and not things in themselves. Schelling, and Hegel radicalized this view, transforming Kant’s transcendental idealism into absolute idealism, which holds that things in themselves are a contradiction in terms, because a thing must be an object of our consciousness if it is to be an object at all. German idealism is remarkable for its systematic treatment of all the major parts of philosophy, including logic, metaphysics and epistemology, moral and political and historical philosophy, sociology, and aesthetics. All of the representatives of German idealism thought these parts of philosophy would find a place in a general system of philosophy. Kant thought this system could be derived from a small set of interdependent principles. Fichte, Schelling and Hegel were, again, more radical. Inspired by Baruch Spinoza and Karl Leonhard Reinhold, they attempted to derive all the different parts of philosophy from a single, first principle. This first principle came to be known as the absolute, because the absolute, or unconditional, must precede all the principles which are conditioned by the difference between one principle and another. Although German idealism is closely related to developments in the intellectual history of Germany in the eighteenth and nineteenth centuries, such as classicism and romanticism, it is also closely related to larger developments in the history of modern philosophy. Goethe, and Schiller, Schelling and Fichte sought to overcome the division between rationalism (idealism) and empiricism that had emerged during the early modern period. The way they characterized these tendencies has exerted a lasting influence on the historiography of modern philosophy. Although German idealism itself has been subject to periods of neglect in the last two hundred years, renewed interest in the contributions of the German idealism have made it an important resource for contemporary philosophy. The Ninth Symphony by Ludwig van Beethoven is a clear “product” of this period of idealism where classicism and romanticism are united and expressed by Beethoven “Ode to Joy” by Friedrich Schiller: “Alle Menschen werden Brüder” (“All people become brethren”). 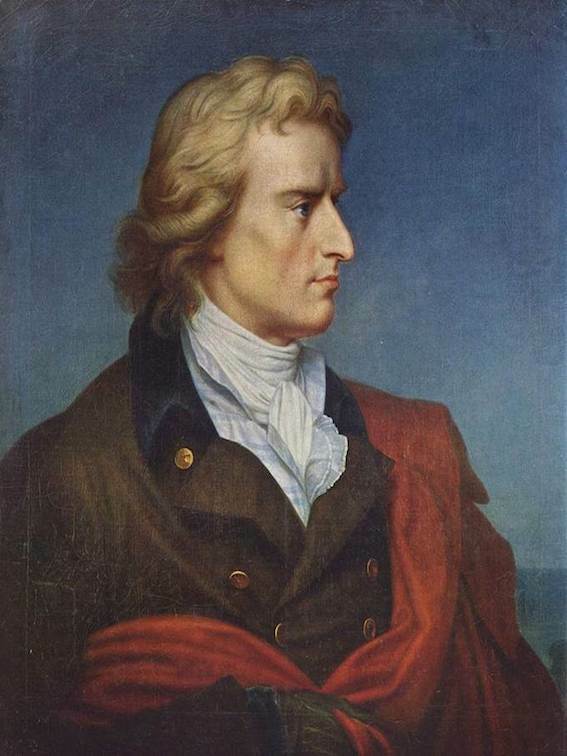 In the late 1700s, during the days of German Idealism, Friedrich Schiller (1759-1805) wrote his famous poem “Ode to Joy” (“An die Freude”) and written in 1785. 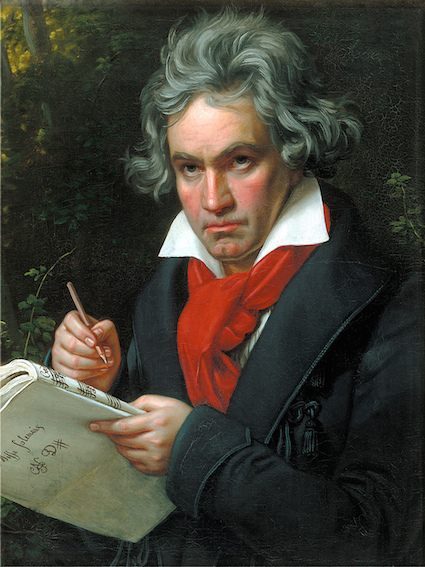 Ludwig van Beethoven (1770-1827) put it on music for soloists and choir as the final piece of his Ninth Symphony. Since more than a century in Amsterdam, the Netherlands, it has been a tradition to perform the Ninth Symphony with a choir of one thousand members. This performance with a choir of more than 10.000 members has never been done before. It shows that German Idealism is still alive and growing as an “antidotum” to our modern lives, determined by efficiency, profit and a-social behavior: “if I can make money it is acceptable; it is morally all right….” Since several centuries, German Idealism (Romanticism or Continental Philosophy) stands opposite to Anglo-Saxon Pragmatism. In Anthroposophy, an attempt is made to bridge and unite Anglo-Saxon Pragmatism with German Idealism/ Romanticism / Classicism. 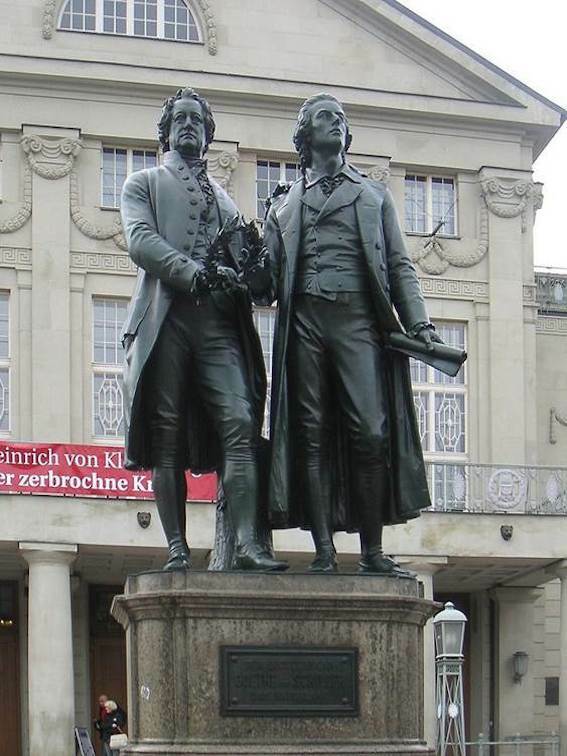 Johann Wolfgang Goethe (1749-1832) and Friedrich Schiller (1759-1805) met several times face-to-face and maintained a vivid correspondence and friendship. Ludwig van Beethoven (1770-1827) was the son of Dutch immigrants and born in Bonn, Germany. Ludwig van Beethoven was a German composer and pianist. A crucial figure in the transition between the Classical and Romantic eras in Western art music, he remains one of the most famous and influential of all composers. His best-known compositions include 9 symphonies, 5 concertos for piano, 32 piano sonatas, and 16 string quartets. He also composed other chamber music, choral works (including the celebrated Missa solemnis), and songs. Born in Bonn, then the capital of the Electorate of Cologne and part of the Holy Roman Empire, Beethoven displayed his musical talents at an early age and was taught by his father Johann van Beethoven and by Christian Gottlob Neefe. During his first 22 years in Bonn, Beethoven intended to study with Wolfgang Amadeus Mozart and befriended Joseph Haydn. Beethoven moved to Vienna in 1792 and began studying with Haydn, quickly gaining a reputation as a virtuoso pianist. He lived in Vienna until his death. In about 1800 his hearing began to deteriorate, and by the last decade of his life he was almost totally deaf. Recent analysis of his hair shows that he suffered from lead poisoning which often leads to hearing loss. In those days, water was kept in lead and pewter containers and by chronic exposure lead would accumulate in one’s body. Van Beethoven had to give up conducting and performing in public but continued to compose; many of his most admired works come from this period. He composed his last symphony, the “Ninth” Symphony when he was completely deaf. He was present at the premiere in Vienna, Austria, but did not hear one single strophe.